Editor: This news release is also being distributed today by University Communications. 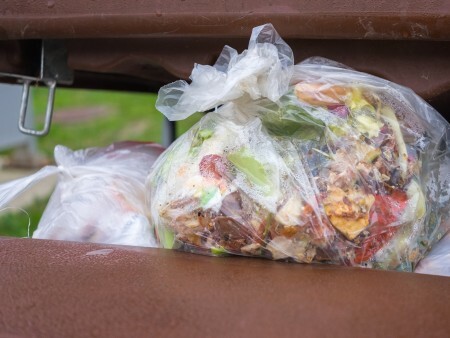 COLUMBUS, Ohio — Even though American consumers throw away about 80 billion pounds of food a year, only about half of them are aware that food waste is a problem. Even more, researchers have identified that most people perceive benefits to throwing food away, some of which have only limited basis in fact. The results provide the data required to develop targeted efforts to reduce the amount of food that U.S. consumers toss into the garbage each year, said study co-author Brian Roe, the McCormick Professor of Agricultural Marketing and Policy in the College of Food, Agricultural, and Environmental Sciences at The Ohio State University. Feelings of guilt: 77 percent feel a general sense of guilt when throwing away food. At the same time, only 58 percent indicate they understand that throwing away food is bad for the environment, and only 42 percent believe wasted food is a major source of wasted money. Control: 51 percent said they believe it would be difficult to reduce household food waste, and 42 percent say they don’t have enough time to worry about it. Still, 53 percent admit they waste more food when they buy in bulk or purchase large quantities during sales. At the same time, 87 percent think they waste less food than similar households. Finally, the researchers believe better data on measuring household waste could lead to improvements. Funding for the study came from the McCormick Program in Agricultural Marketing and Policy, housed in Ohio State’s Department of Agricultural, Environmental, and Development Economics. In addition, Roe has appointments with Ohio State University Extension and the Ohio Agricultural Research and Development Center, the outreach and research arms of the College of Food, Agricultural, and Environmental Sciences. Roe’s position is supported by the Francis B. McCormick Professorship in Agricultural Marketing and Policy fund, established in 1991. For information, see go.osu.edu/mccormickfund.